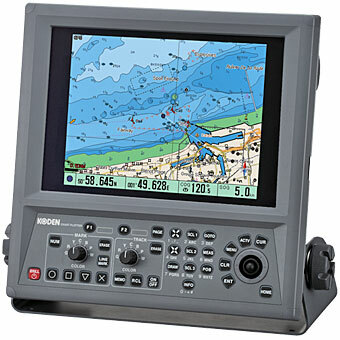 New Koden GTD-120 chartplotter features a colour 10.4" sunlight viewable display and is simple & easy to use. Designed for commercial use, ease of operation is a priority with simple controls & a brilliant sunlight viewable display. The operating panel is split into logical groups where it is easy for the user to select track & mark functions with dedicated keys & rotary control knobs. Using C-Map MAX cartography, the three different display modes of Plotter Mode, Split Screen Mode and Bird View Mode are easily changed by pressing just one key. With the built-in AIS interface the Koden is ready to be connected to an AIS receiver. Enhance your safety & collision avoidance by connecting your AIS receiver to the GTD-120. View the AIS equipped vessels on the GTD-120 display & view their details by simply placing the cursor on the target. Designed for commercial use, ease of operation is a priority with simple controls and a brilliant sunlight viewable display. The operating panel is split into logical groups where it is easy for the user to select track and mark functions with dedicated keys and rotary control knobs.